The Highland is the largest of the three Scottish native breeds of pony, reaching a maximum of 14.2hh (148cms), a modern adult pony can weigh as much as 550kg. Its original environment of the Scottish Highlands and Islands, to which it is well adapted, has made it a hardy, sure-footed animal. The island ponies, because of their harsher environment, tended to be smaller and lighter boned than their mainland relations. Its winter coat is thick and insulating and enables it to live outside in all weathers. It has a silky mane and tail and feathering on the legs. The summer coat is smooth. Its strength, sure-footedness and equable temperament made it an invaluable workhorse for the crofters of Scotland who used the Highland as a multi-purpose animal - for ploughing, forestry, riding and haulage. The sporting estates found the Highland useful for bringing deer and game from the hill and many modern day estates have reverted to the ponies as being more environmentally friendly than 4x4 vehicles. In the First World War, the Lovat Scouts used Highlands as army mounts and they were also used by the military in the Boer War. With the advent of pony trekking in Scotland in 1955, the Highland came into its� own and the breed became more widely known. 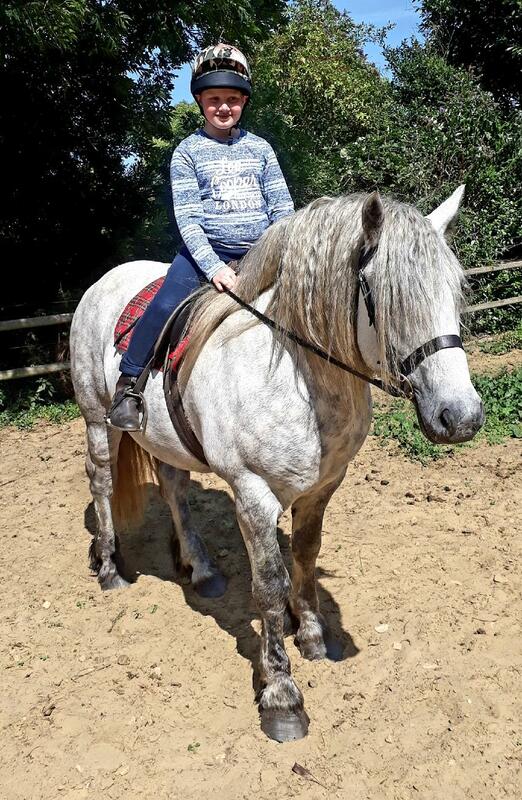 Nowadays, the Highland makes an excellent family pony, as it is a good all rounder, and will turn a hoof to riding, driving, dressage, jumping, cross country and long distance riding, as well as being extensively used for RDA work. Highlands are able to carry an adult of up to 20 stones in weight. In the Mountain and Moorland Ridden Pony of the year at Olympia, Highlands were champion and reserve in 1999. The Highland Pony is a non genetically modified pony! 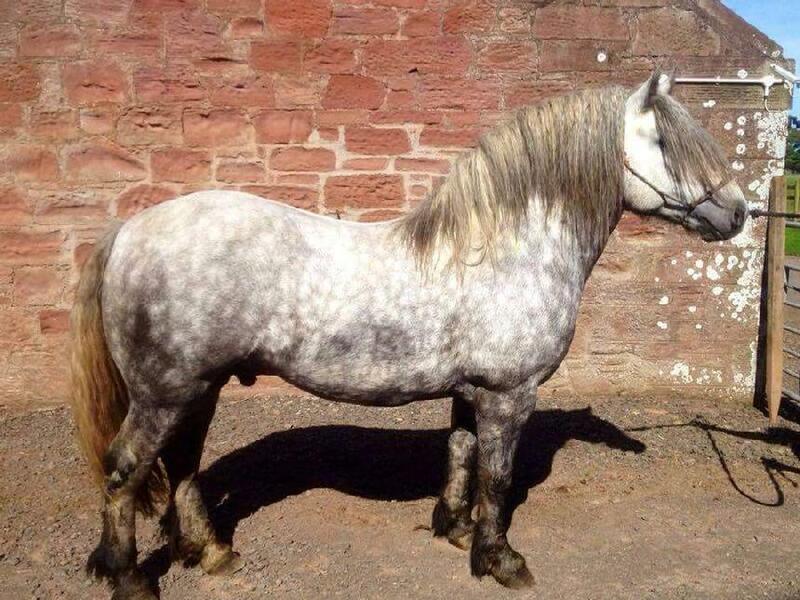 It is descended from the primitive ponies of Scotland and there is no subjective assessment of breeding stock. The Highland still retains the eel stripe marking, shoulder stripes and zebra stripes on the legs, which typify it as an ancient breed along with Przevalsky horses, Koniks and Fjord ponies. It comes in a range of colours from the duns (mouse, yellow, cream and grey), brown, bay and black. The solid colours remain throughout life, but the cream and grey dun ponies eventually turn white. The Highland Ponies bred on Rhum exhibit unusual colours such as chestnut with silver mane and tail. Since the 1880s, Highlands have been registered in a stud book. There is no "breeding scheme" as such, and this results in a diversity of types and bloodlines. White marks are frowned upon by the breed society, and only a small star is acceptable in the show ring. A stallion with white markings, apart from a small star, cannot be licensed. There is an estimated 5500 highlands currently in the world with most of these being in the UK and Europe. Highland Ponies have been exported to many countries and there are studs in France, Belgium, Holland, Poland, Germany, Australia, Canada and the USA.